There’s a couple of ways to make this one your own. 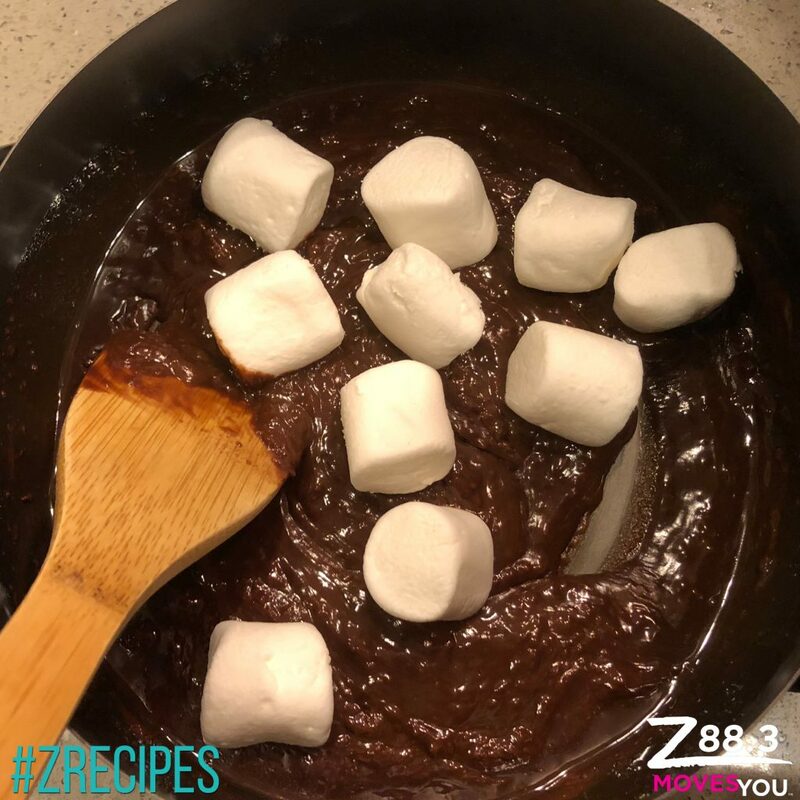 Mix in your favorite candy bars…whatever you like, just make sure you’ve got 12 ounces of some kind of chocolate. 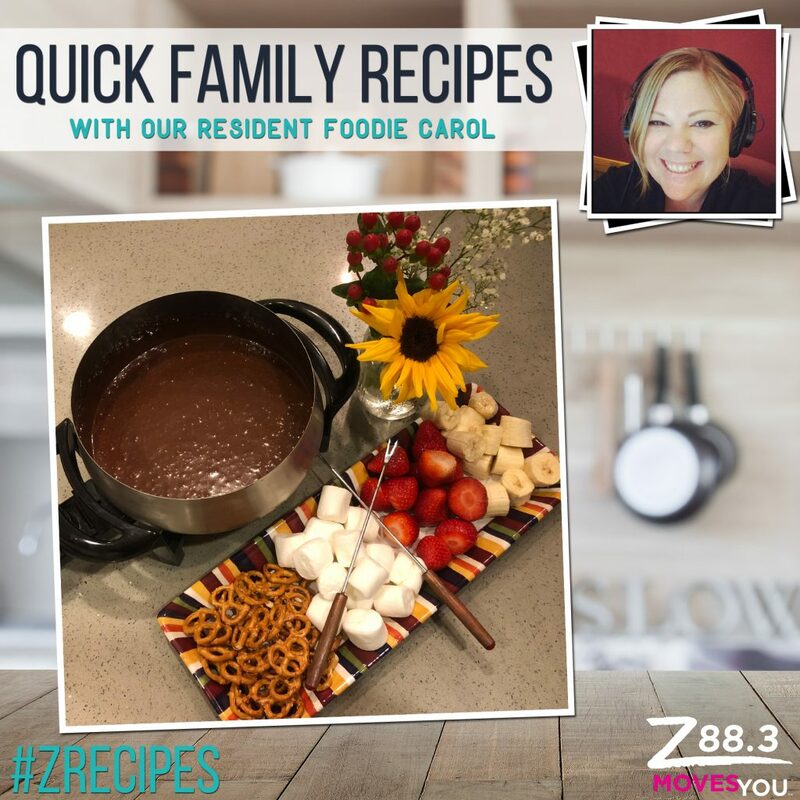 Let’s jump in the kitchen and start cooking together…. 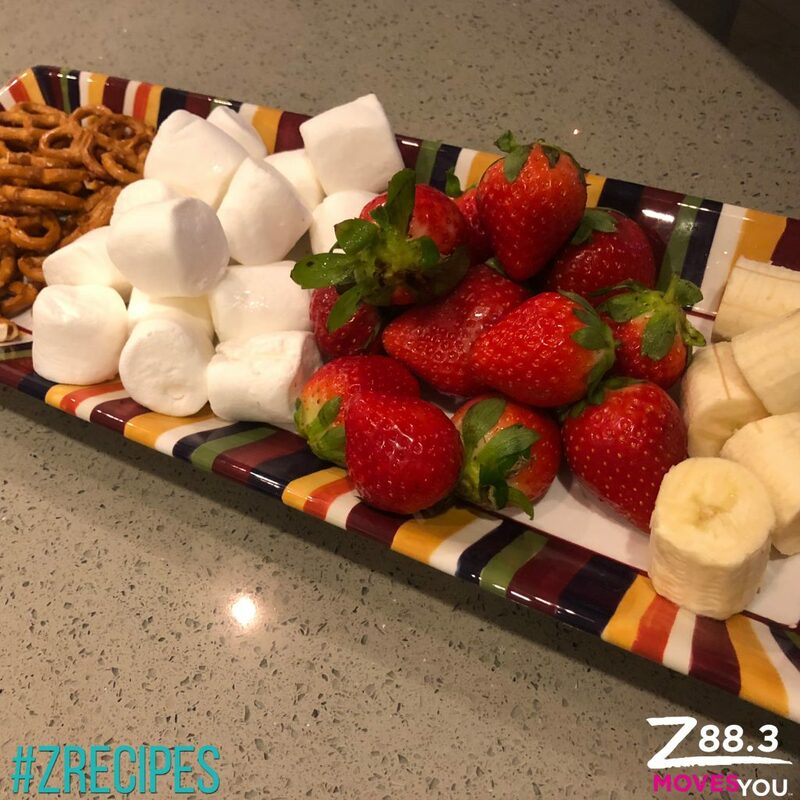 12 Ounces of Your Favorite Chocolate (This is where you can get creative…12 ounces of chocolate chips or 6 ounces of chocolate chips and 6 ounces of peanut butter or butterscotch chips or 12 ounces of your favorite chocolate candy bars. The skies the limit. If you have an electric fondue pot, you’ll be making this dish directly in that. If not, take a small pot and place it over the next size pot. Make sure the bottom pot is half full with water. 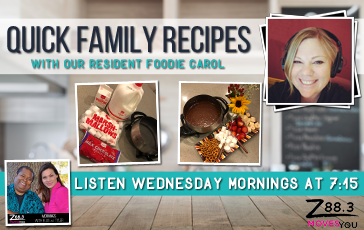 The top pot is where you’ll add your ingredients. 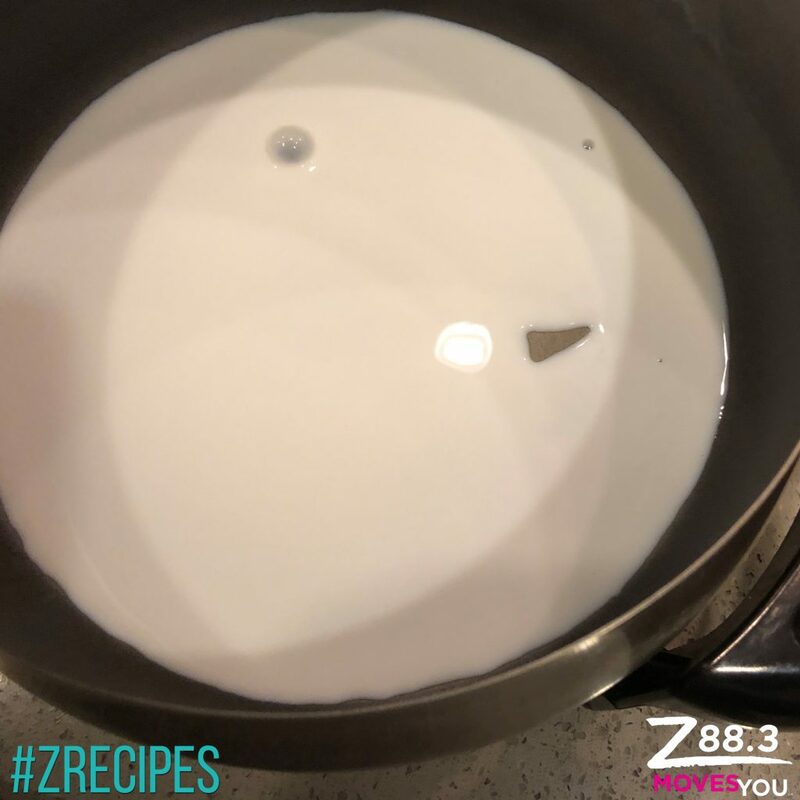 The boiling water below will help heat your pot and make your fondue without curdling the milk! If using a fondue pot, set the heat setting to warm. 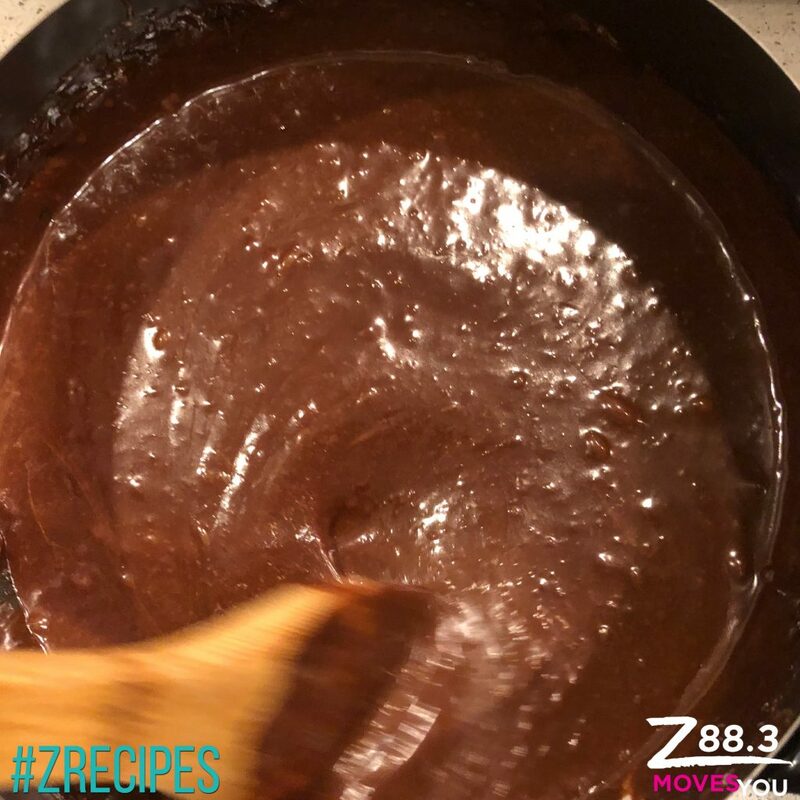 If you are using your double boiler, leave the heat between low-medium and your water is heated, even simmering before adding your ingredients. 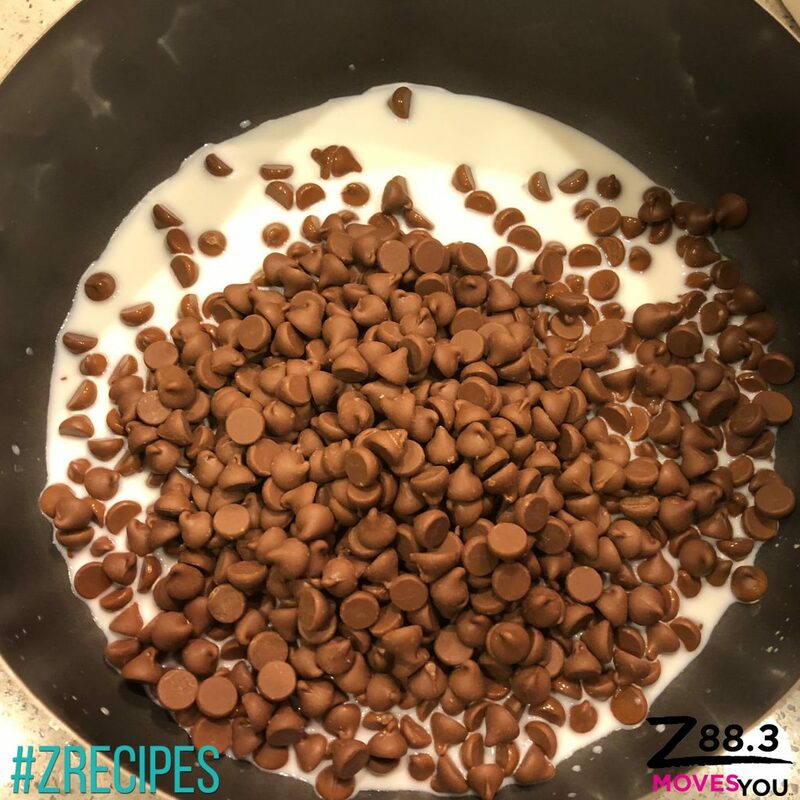 In whichever pot you choose, add your milk and chocolate. 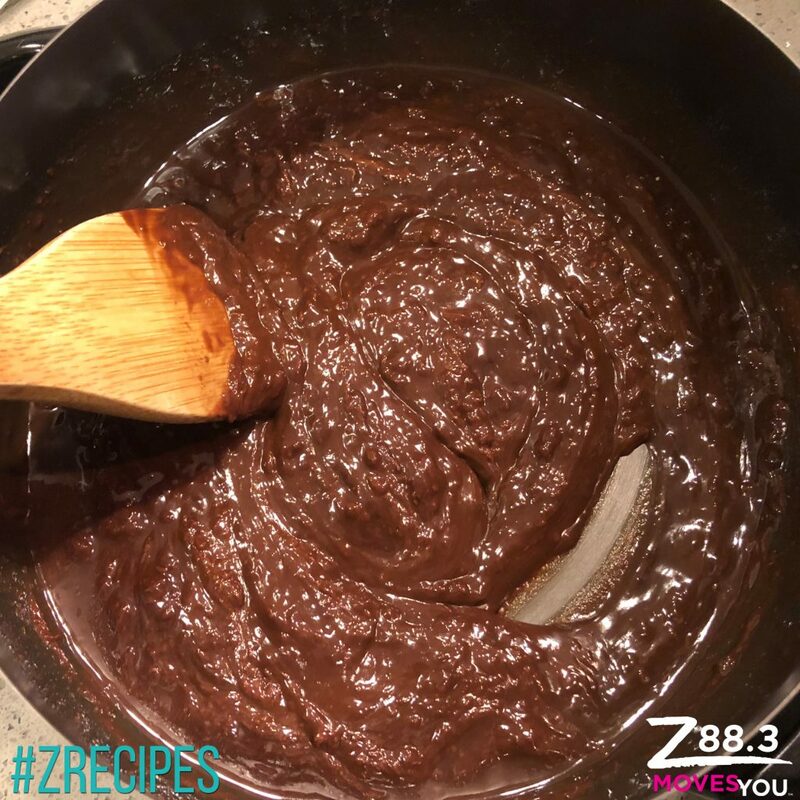 Stir together constantly on warm setting until everything is melted and smooth. 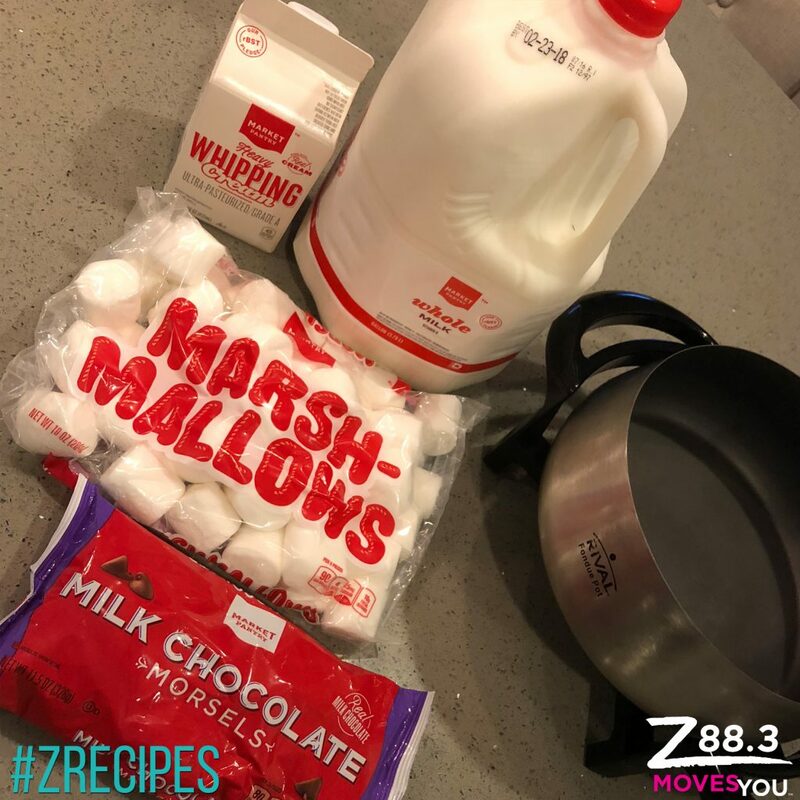 Add in your marshmallows and keep stirring until melted. 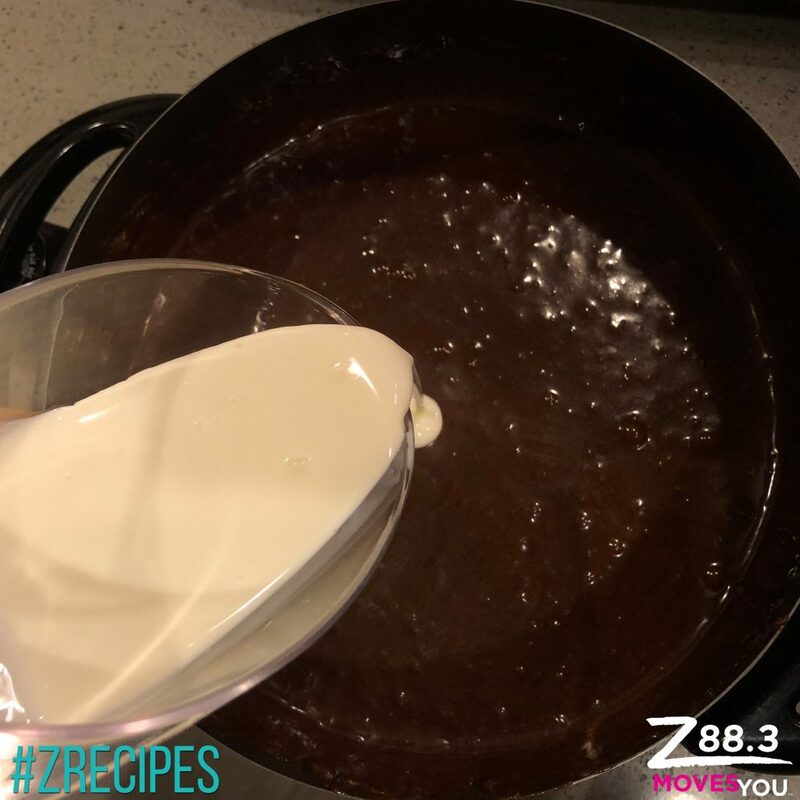 Slowly pour in your heavy cream continually stirring until you have beautiful chocolate fondue! 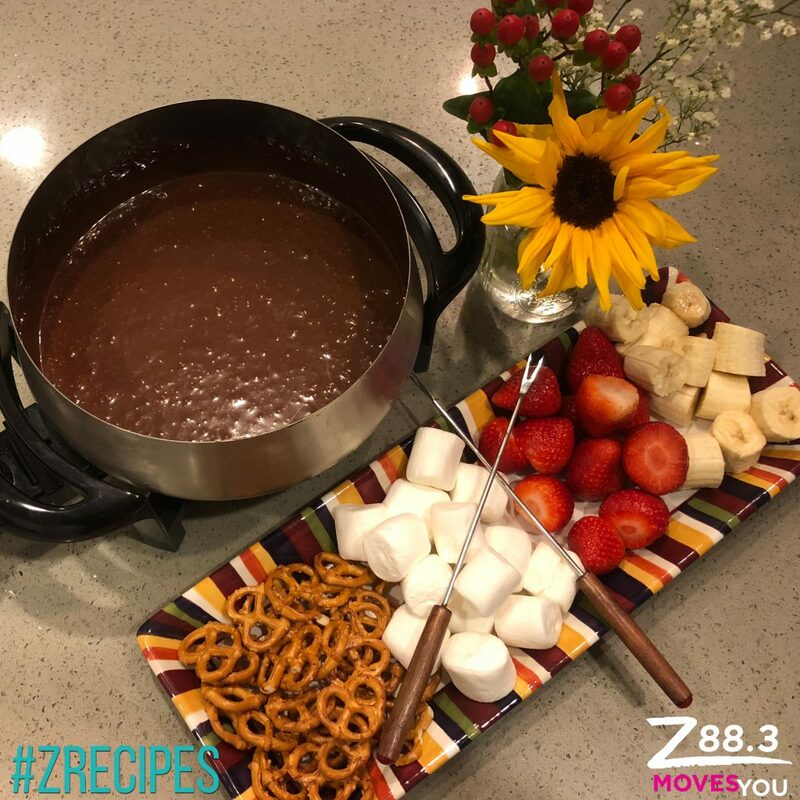 Ellis and Tyler would love to see how you are enjoying your chocolate fondue! 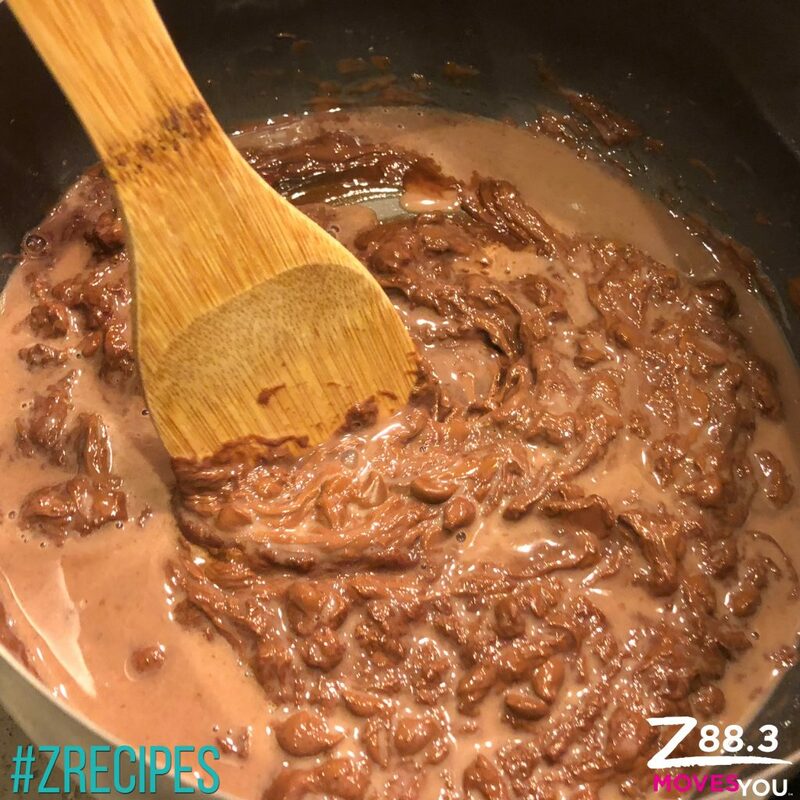 Head on over and share your pics on the Z88.3 Mornings Facebook Page!